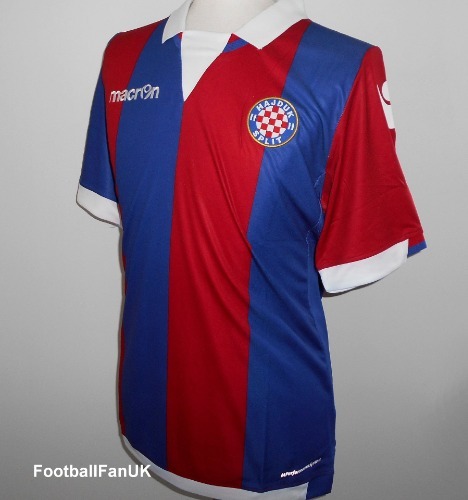 Official away short sleeve football shirt for Croatian team HNK Hajduk Split the 2015-2016 and 2016-2017 seasons, made by Macron. New with tags in Macron packaging. - 'Hajduk' printing at back of neck. - Seasons 2015-2016 and 2016-2017. - Adult Men's Medium size; Chest 40". Length 29".